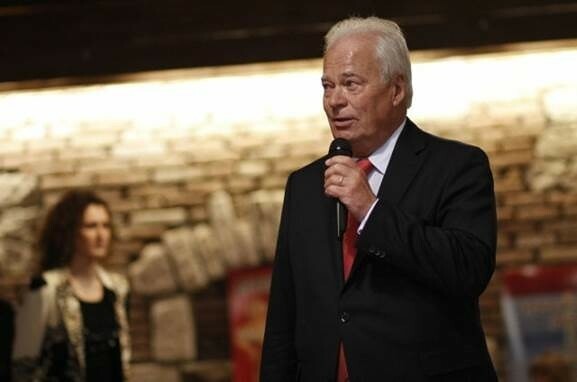 Casinos Austria International (CAI) has been successfully operating a casino in the Hungarian border town of Sopron since the 1990s. 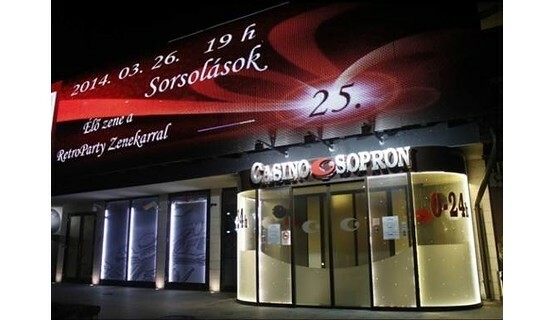 CAI holds a 75% stake in Casino Sopron, which is run in cooperation with a Hungarian partner and moved to bigger new premises at the end of 2013. 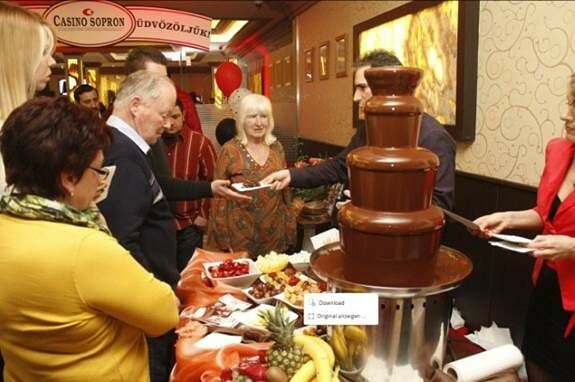 “Boldog születésnapot – Happy Birthday!” There was plenty of reason to celebrate in Casino Sopron on 26 March 2014 as the venue marked its 25th anniversary with a big birthday celebration. 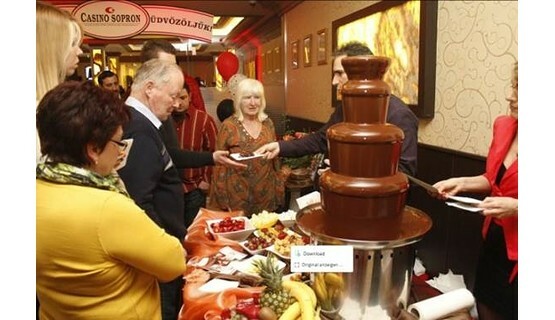 Numerous guests came along to celebrate the event in person, and local management put an excellent buffet that included a magnificent chocolate fountain that was as decorative as it was tempting! 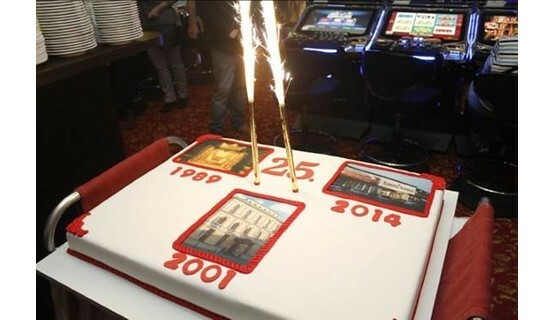 And no such party would be complete without the obligatory huge birthday cake! 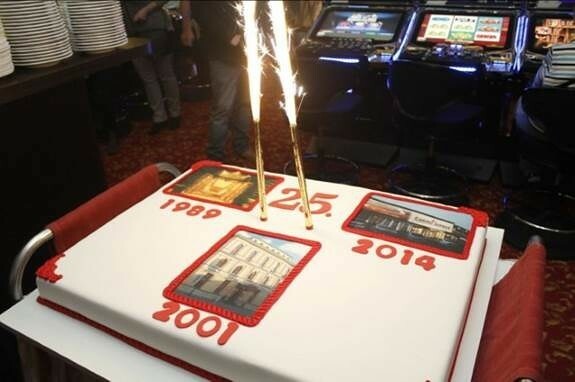 Casino Sopron has been captivating its guests in its new 1,300 square meter location in the Mediterrano complex since November 2013. 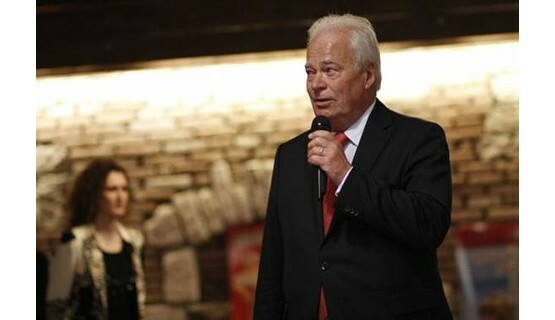 The complex is brand-new, modern and home to a absolutely state-of-the-art gaming operation. 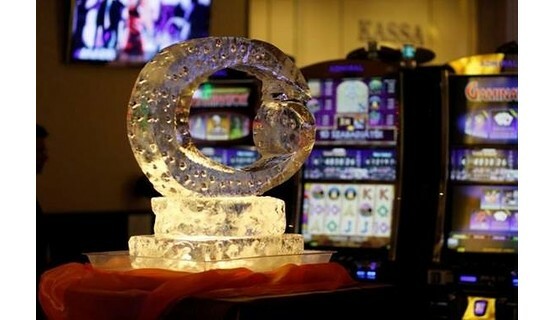 An extra-large LED sign on the exterior of the building draws immediate attention to the gaming fun on offer, and 150 free parking spaces are available for casino guests – all the more reason to spend a fun evening at the popular casino. 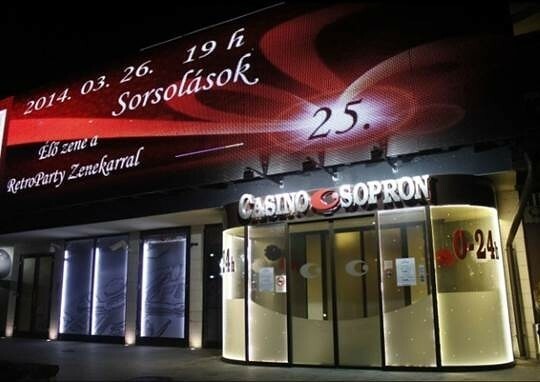 Casino Sopron offers guests a choice of seven gaming tables and 201 slot machines. 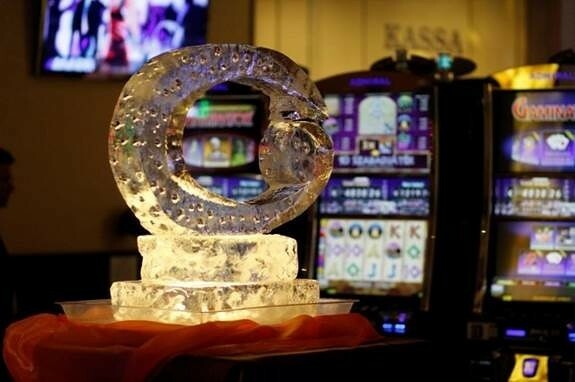 Customer service is an absolute priority, and the casino employs a total of 90 staff to look after its guests.